WDAF-TV signed on October 16, 1949, as Kansas City's first television station. WDAF was a primary NBC affiliate which carried programming from all other networks at various times. WDAF had a distinct advantage because they were the only station on the air when the FCC instituted its license freeze. The station was the first in Kansas City in many categories. 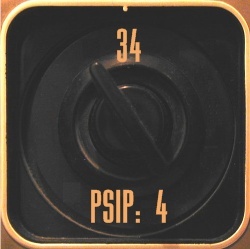 In addition to being first on the air, they had the first "live" transmission vehicle; they were the first in color, the first in stereo, the first on the air 24 hours a day, the first to switch to videotape and the first to use a helicopter for traffic reports. WDAF even hosted televised wrestling matches in the studio. The Kansas City Star owned the station at first, then sold it in 1957 to satisfy an antitrust investigation. National Missouri Broadcasters bought the station in 1957, and merged with Transcontinent Broadcasting. In 1964, Taft Broadcasting (later, Great American Radio & TV, then Citicasters) began its long ownership of the station, and its radio counterparts. Amazingly, when NBC had so many dominant shows on television on the 1980s, that's when WDAF began to lose ground to KCMO-TV and KMBC. WDAF broadcasted Royals games from 1980-1991. New World bought the station in 1993, signing a long term deal to switch its stations to the FOX network. FOX would eventually buy New World Communications, making WDAF a network O&O by the time the sale closed in 1996. 1994-2009 - WDAF-TV - FOX "FOX 4"
WDAF had slipped to third long before the sale. When they switched affiliations to FOX on September 12, 1994, they had to expand their newscasts. For example, instead of doing and hour or 90 minutes in the morning, WDAF was now doing four hours. In 2011, FOX 4 broadcasts 57 hours of news each week. Kansas City seems to struggle with the fact that WDAF is FOX, even to this day. The station still receives phone calls from people about NBC programming, or stories that aired on KSHB's newscasts. WDAF remains in third place overall, behind KMBC and KCTV. However, WDAF remained a viable alternative in the morning, often beating the national competition after 7:00 in the morning. In 2007, WDAF briefly simulcasted its 9:00 newscast on KTMJ-CA in Topeka. In late 2007, FOX announced the sale of WDAF and several other O&Os to Local TV, LLC. Local TV is operated by Oak Hill Private Equity. They officially took over July 14, 2008. Local TV also has an operations agreement with Tribune broadcasting, and Tribune provides much of the equipment and internet support. WDAF signed off its analog signal June 12, 2009. 2002-current - WDAF-TV - FOX "FOX 4"
WDAF-DT signed on to digital channel 34 on May 1, 2002. Up until 2009, the digital signal broadcasted at a very low power. 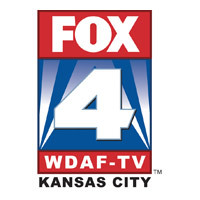 Whereas WDAF was a station of firsts, on October 12, 2010, WDAF became the fourth and last station in Kansas City to broadcast local news in high definition. WDAF activated a digital subchannel in December 2010; Antenna TV signed on February 13, 2011. On November 29, 2011, morning meteorologist Don Harman committed suicide at his home. In July 2013, Tribune Broadcasting announced it would purchase all Local TV LLC. stations; the sale closed at the end of the year. In 2014, WDAF broadcasts an astonishing 59.5 hours of news a week, on the air from 4:30 a.m. to 10:00 a.m., 12:00 to 1:00, 5:00 to 6:30 and 9:00 to 11:00 p.m. on weekdays. Since 2012, WDAF has performed much better in the early evening newscasts, winning several 6:00 p.m. ratings periods.